At Trent Lakes Complete Plumbing Inc., we take pride in satisfying our clients’ plumbing needs. From leaky pipes to pesky backups, there is no clog that we can’t conquer. Shawn leads our team and oversees all of our work. A licensed plumber with 20 years of experience in the trade, he founded Trent Lakes Complete Plumbing Inc. four years ago. Our crew is committed to excellence and customer satisfaction throughout Peterborough, Peterborough County, and the city of Kawartha Lakes. From home renovation jobs, to plumbing emergencies, to new construction and everything in between, we have you covered. But don’t take our word for it. Read what some of our satisfied customers had to say about our services. 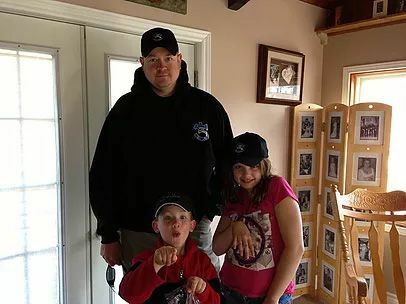 Owner and operator Shawn Saxby is also a volunteer coach and sponsor of many organized youth sports teams in addition to serving as a volunteer firefighter with Trent Lakes Fire Rescue. Every second Monday, and sometimes more often, Trent Lakes Fire Rescue personnel take time away from their families, friends, and work to train for real life emergencies. From medical emergencies or structural fires in the middle of the night, to responding to a serious traffic accident in -25°C weather, Shawn and his fellow volunteer firefighters answer the bells as first responders. Trent Lakes Complete Plumbing proudly offers a 10% discount on service calls to all emergency workers including police, fire, EMS, and the military. For more information about our plumbing services, get in touch with us today to request a free estimate for your next project.